I LOVE it when I can find great music for Spinning® that is free and legal, especially when it’s offered by the musicians themselves. Haldolium is a German group who’s been around for awhile. Their specialty is progressive trance and they seem to be making a resurgence recently. I started following them on Facebook not long ago and today they announced that they are now on Soundcloud and are offering this free download to a song called All My Life. This is a great one! Yes you want this song for your Spinning classes! It’s called Daybreak by Overwerk from their upcoming EP “After Hours”. Click here to download the song for free from Soundcloud. 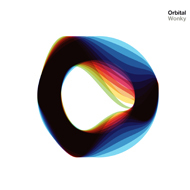 Orbital has long been a mainstay for powerful and inspirational electronic music in the indoor cycling world. They are announcing the launch of their first album in 8 years, Wonky, (just the title makes me want to order it!) and are offering a free download of the track “Never”. Click here to get the free download from Soundcloud. I don’t know if it’s limited, so go get it soon! Scroll down to the third song in the list and you will see a download button. While you are there, listen to the fourth song, One Perfect Sunrise (feat Lisa Gerrard). It’s one of my favorite Spinning® songs of all time! It’s available on eMusic (The Blue Album). Here is a fun song to use in a Spinning® or indoor cycling class when you have students who love this kind of music. Best part about it? It’s offered as a free download by the artist herself! Click here to go to the download page.